Why, oh why, do I login to Zulily? I mean really… every single time I do – I end up buying a cake stand. Today? I bought two new cake stands. While I love colorful, fun, bright cake stands – I’ve found that practically speaking, I use the neutral ones more often. That’s why I had to have these Madera Pedestal Cake Stands. They’re large and pretty and neutral and I’m sure I’ll use them all the time for my photography. Plus, I love that tall, squared off dome on the one up top! That shape is so gorgeous! So the one up top, it’s 12.5” H x 11.75” diameter. That’s a nice big stand!! And this one… it’s also gorgeous, but slightly smaller. It measures 10.2” H x 9” diameter. Yeah, I got them both. 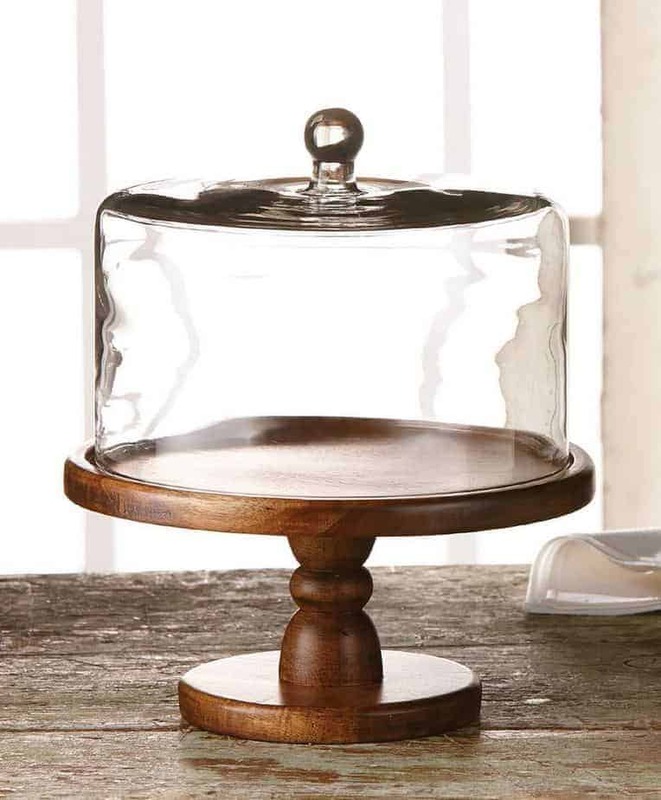 I still have a black cake stand on my wish list, but until one comes along… I just keep getting others! I checked for these on Amazon and the Zulily prices are definitely better! Plus if you use Visa Checkout, you can get free shipping (which I love!!). 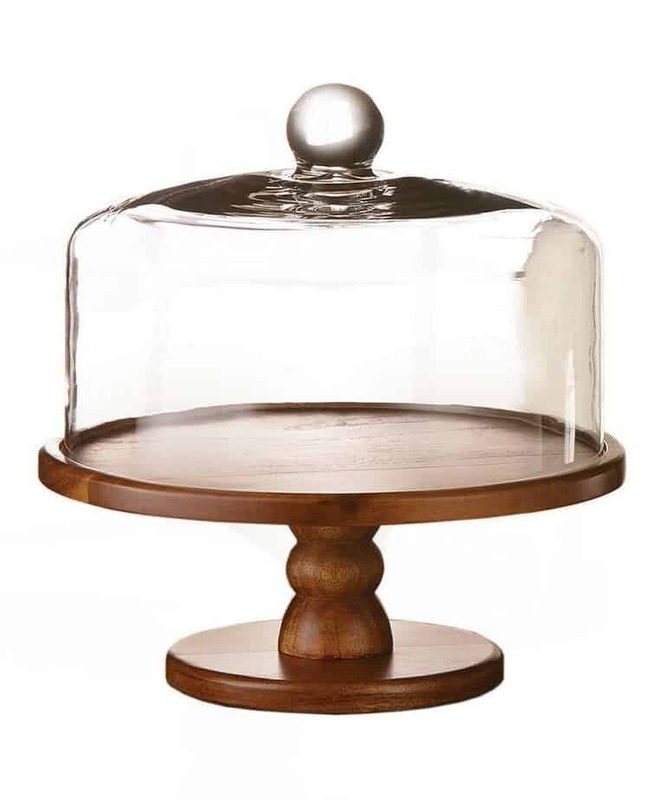 So, hop on over to Zulily today before these beautiful cake stands are sold out! Are you new to Zulily? If so, would you sign up with my link here?? When you do, I earn a $15 credit and then you can refer friends and also earn a credit! Win for both of us! After you’re signed up, you can go directly to the cake stands HERE. By the way – did you see this new Craftsy class and my special discount price? Hurry and grab it before the price goes up – my special links is only good for a few days!! 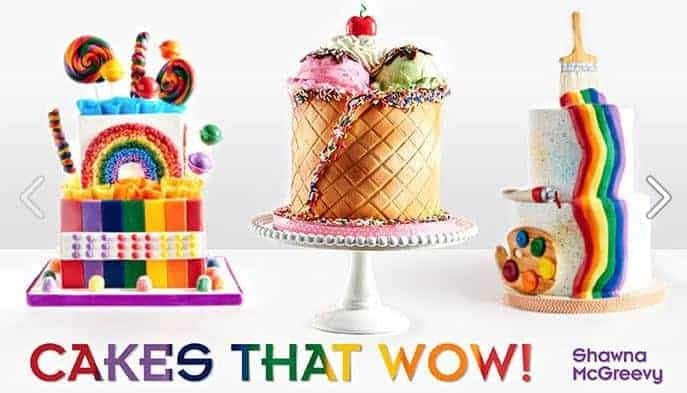 Get it NOW –> Cakes that Wow by Shawna McGreevy. First the cake plate is gorgeous! 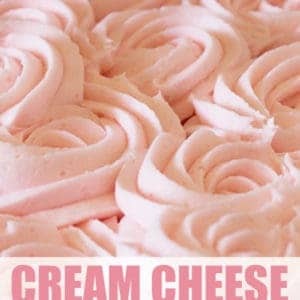 Elegant enough for a fancy cake, yet you could use it for a childs cake. Secondly……YOU CAN NEVER HAVE ENOUGH CAKE PLATES!!!!!! One day you will find that black one, and no, oh no , you will not stop there! Another plate, you just have to have, will somehow appear in front of your eyes. Use it well…….or just admire it! 🙂 I like the way you think!! Yes! and then you just HAVE to show us these cake stands which makes the rest of them drool over them too. By coincidence just this morning I discovered a box of cake stands today while looking for my cherry pitter, (which I did finally find) including an antique pink depression glass one that I’ve been searching the house to find over the past several months. It was given to me by one of the residents at the retirement community my family owns and manages and the lady who gave it to me several years ago had multiple very very serious health scares over the past year and I thought a couple of times we were going to lose her. That’s one reason I was getting very upset when I couldn’t find the plate. It was special and important to me. Some of the residents have been there as much as 7 or 8 years and you can get VERY attached to these folks in that length of time. We did lose several this past year either through death, both expected and some unexpected, and some who had to move to receive more care and couldn’t live on their own any longer. A lot of the baking I do is for the residents and functions they have and ones we hold for them and I try to make things they tell me their mothers used to bake and more old-fashioned types of desserts at times along with always trying new recipes on them. I had to laugh when you said you have a black cake plate on your wish list. That’s one of the main ones I have on mine along with a pale pink one. Not a depression glass type of one, but a pedestal one in a more solid milk-glass look. I’ve seen some BEAUTIFUL cakes on both a pink and a black plate and truthfully, the plate MADE the cakes. Had the cakes been sitting on any different color or type of cake stand it just wouldn’t have been the same. It’s just like the “birch bark” cakes that have been popular lately. If you put that type of cake decorated them on a crystal cake plate it just won’t look the same or nearly as well if it were placed on a wooden cake board or even better, a piece of real wood from a tree trunk. I’ve seen several “woodsy” types of cakes on stands which someone has created out real parts of trees. As we all know, presentation is sometimes half the battle. I just wish so many of these cake plates weren’t so dang gone EXPENSIVE. It’s SHOCKING how much some of them run, simple, basic plates and at times they want hundreds for them. I try to find ones at auctions (which my mother loves to attend and which can be VERY dangerous for me). (Although, you didn’t see me complaining when I got a 5 qt. KitchenAid stand mixer with all original pieces, bowl, 3 beaters, instruction booklet and even a cover for $40- I could tell it was a little older but in like-new condition.) Anyway, when you’re buying at auctions, flea markets, yard sales, etc., you can’t place your order, you take what you can find. So to close and stop my rambling….if you ever find a great buy on cake plates, like the black one, etc., make sure you let the rest of us know about it too! I’m a rambler too Pamela… 🙂 I will definitely let you know if I ever find a black stand that I love and I am very envious of your ability to shop at auctions… I live out in the sticks so I never get to do that!